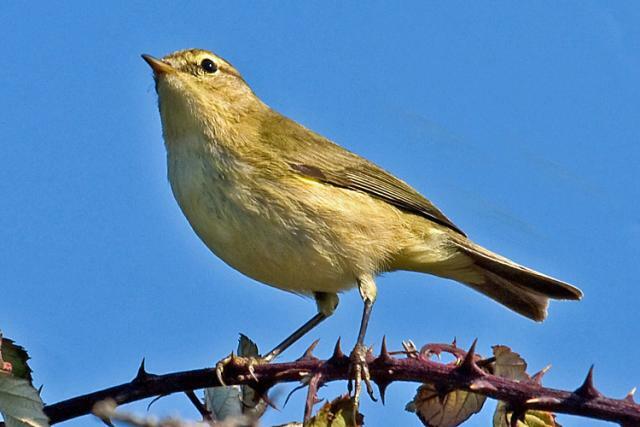 The first of our African migrants, the chiffchaff, returns en masse to provide the prelude to the background music of our summer countryside and gardens. 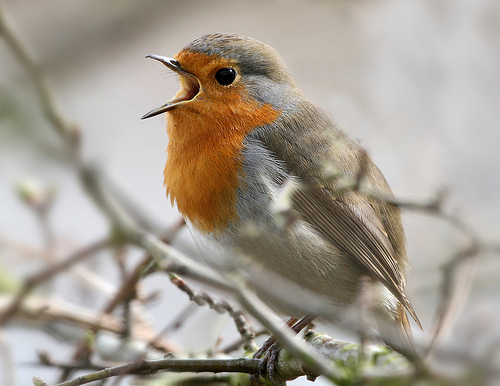 It sings ‘what it says on the tin’ – a repeated “chif-chaff” call – from the tops of trees, but often nests on or close to the ground in long grass. Chiffchaff - click here to listen to its characteristic song. Another early arrival is the blackcap, named on account of the male’s black head, although the female’s is a chestnut brown. 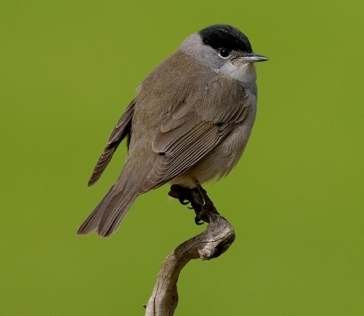 To the untrained ear, the blackcap’s song is rather like a turbo-charged robin – very loud and ‘bright’. enjoying their first ablutions after a long dusty journey from North Africa? Both these species will adopt larger gardens (or a group of smaller ones) if there are enough trees and ‘untidy’ areas where they can find their insect food. Chiffchaffs are especially useful in my garden as I have a large sycamore that really is ‘dripping’ with aphids in the summer, and the birds can be seen hanging upside down under leaves gorging themselves on what most people regard as garden pests. The ‘dripping’ is the sweet honeydew the insects excrete; much loved by ants, it’s also what makes your car so sticky if you park it beneath a sycamore. The aphids are also an essential food for the chicks of many birds – even seed-eaters like finches and house sparrows. 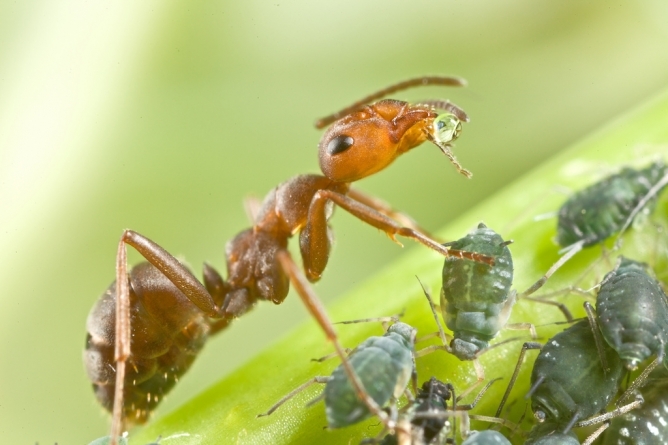 An ant 'milking' an aphid for its honeydew. As our climate warms, some individuals are remaining here over winter thus avoiding the risks of a long migration. Evolution is taking place before our eyes (and ears). I normally expect to hear my first chiffchaff of the year by the last weekend in March. This year it was March 4th. But that could have been one of an increasing handful of chiffchaffs whose genetic makeup has altered by chance and they are no longer programmed to migrate, so they spend the winter in the UK. While these individuals run the risk of starving to death if the winter is a hard one, they avoid the many risks involved in flying to sub-Saharan Africa and back as the rest of their species do. As our climate slowly warms, more and more of these ‘remainers’ survive to pass on their genes to their offspring, who then also ‘remain’. Blackcaps and chiffchaffs are just two of a small number of common species whose populations remain stable, or are even increasing slightly. 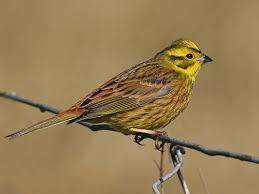 But another once common bird around the Farleighs and the rest of southern England, the yellowhammer, has suffered a significant decline due to the changes in farming methods, especially hedgerow removal, brought about by our demand for ever-cheaper food. Although there are places nearby (Poultry Farm in Marden is one) where their familiar ‘little-bit-of-bread-and-no-cheeeeeese’ song can still be heard in abundance, I have not heard it in East Farleigh for about ten years. I’d love to know if it is hanging on in West Farleigh. Do let me know if you hear one regularly near you. Thanks Phil. It's surprising what sometimes turns up on that side of the river. I suppose it's such a restricted area as it's hemmed in by the river and the Tonbridge Road so it's been left reasonably untouched by agricultural change. I saw a couple of Yellowhammers along the river near the Barming footbridge a couple of years ago, just south of St Margaret's church. Haven't seen any since but always keep an eye (and an ear) out when birding locally.